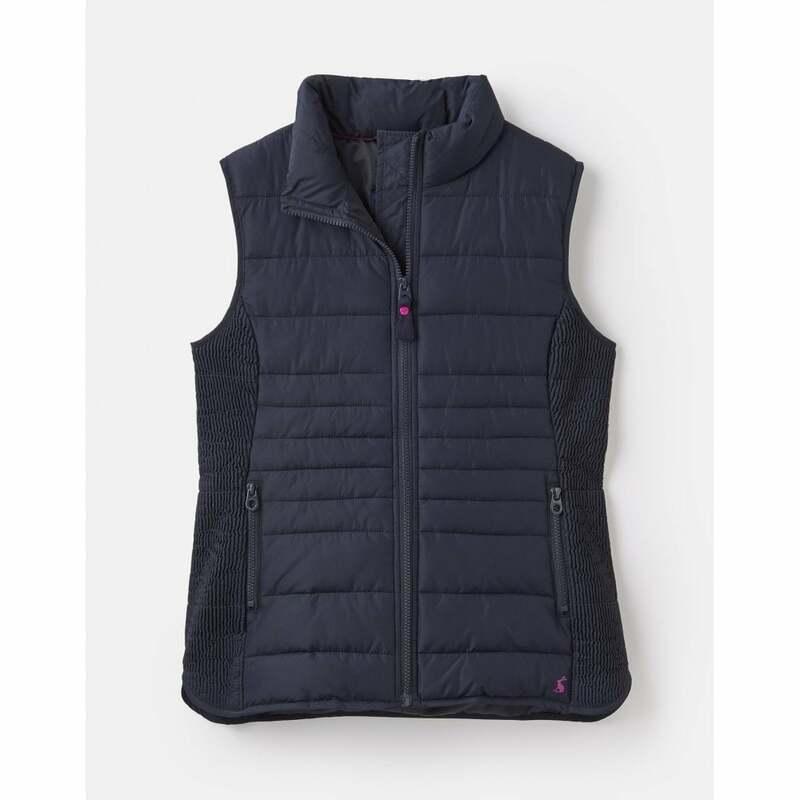 This ladies padded gilet is sure to be wardrobe staple this season. Panel stitching combined with quilting and a curved hem gives a flattering silhouette and this warm gilet is perfect over a jumper or shirt in warmer weather. Revealed inside is a Joules printed lining for an added touch of luxury.